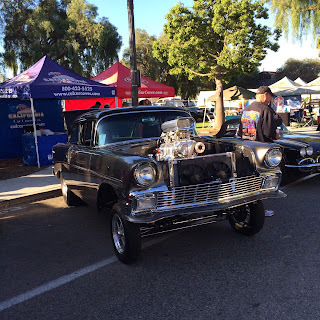 My third car show of the weekend was the 34th Annual Roamin' Relics Car Show in Moorpark, Ca. California Car Cover has been a supporter of the event for a number of years. We always look forward to this show because it is a great site for a car show, plus it always attracts nice cars from all over Los Angeles and Ventura County. Cars started lining up to enter Old Town Moorpark in the wee hours of the morning. 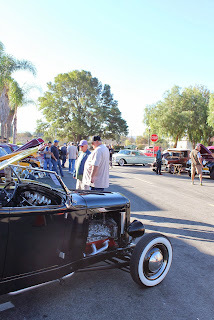 By 730am, the streets throughout Old Town were filled with street rods and muscle cars. High Street was packed with cars and people all day long. The local shops and restaurants must really like this event because all of the venues were packed with show attendees. Clean 1938 Chevy Coupe with a low stance and white wall tires. Another low Chevy. 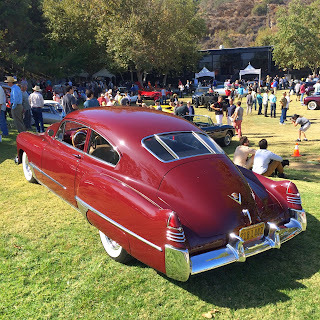 This one was a 1950 Chevy Fleetline. This 1956 Chevy Bel Air's blue paint looked really good once the sun came up. The show always attract a great crowd. 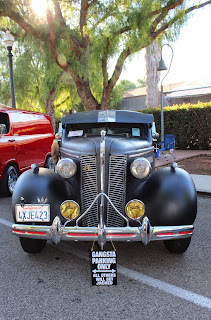 The Roamin' Relics also make sure to donate proceeds of the car show and raffle to local charities. The club also gives out a number of awards at the event. Many local companies generously donate prizes to the raffle in order to raise money for the local community. 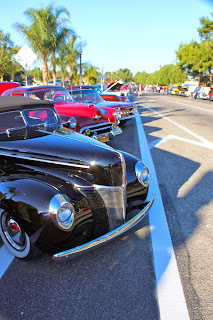 Thank you to everyone in the Roamin Relics Car Club for putting on another great car show. The California Car Cover Crew had a great time at the show. The annual Car Classic at the Art Center College of Design took place on Sunday and it drew a packed house to the acclaimed design college in Pasadena, Ca. This year's theme was Inspired By Nature. 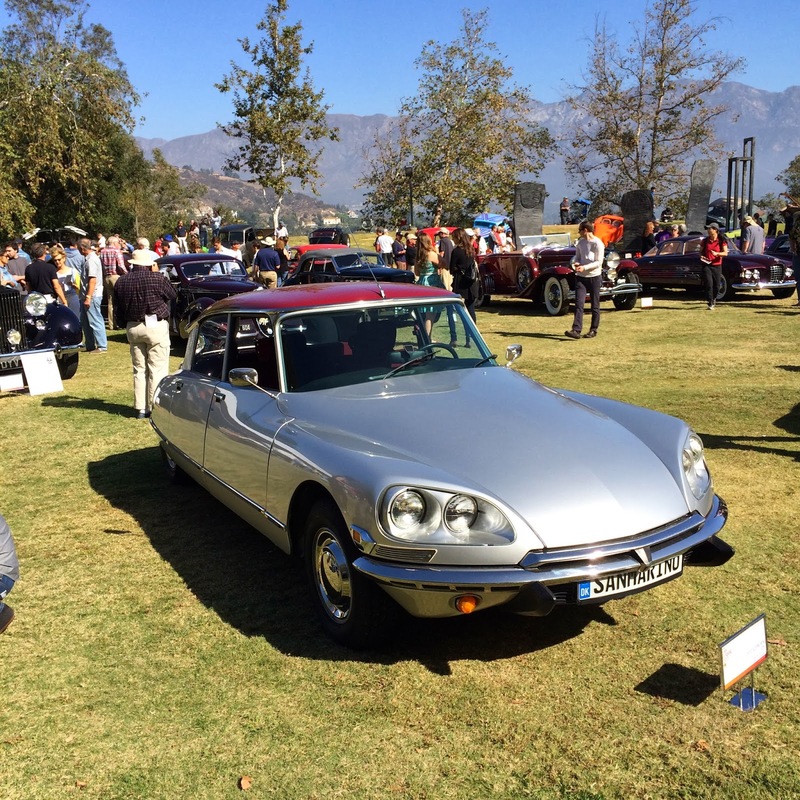 The venue was a perfect setting for the array of classic and concept vehicles. Since the event is held at a school that is world renowned for its transportation design department, the Car Classic attracts a who's who of Southern California automobile enthusiasts and collectors. 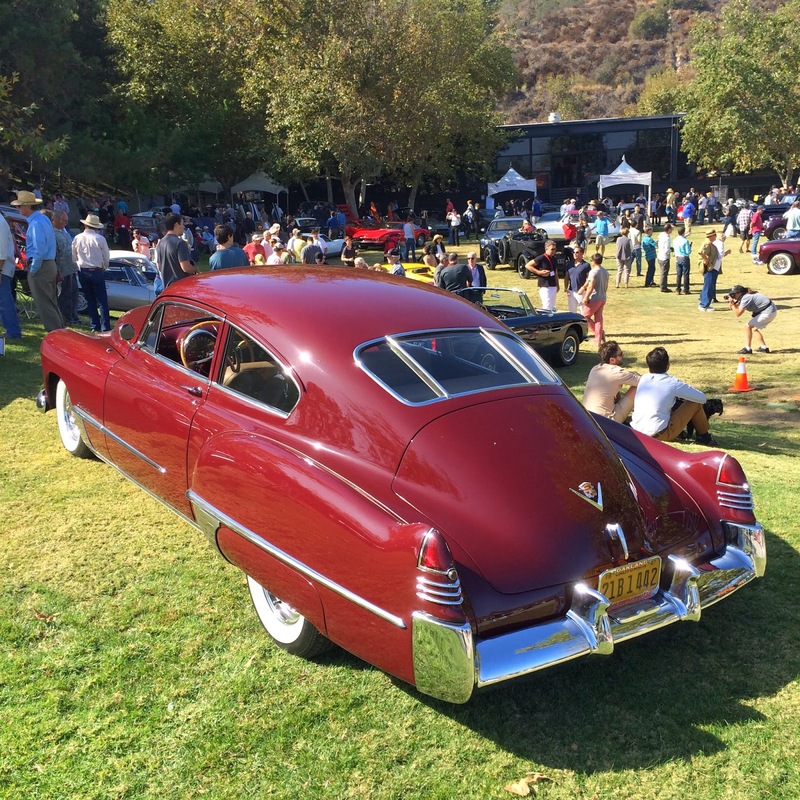 Many collectors who had vehicles on display have had their cars featured on the cover of our California Car Cover catalog, something of which I was proud of. Mazda concept vehicle that will be displayed at the SEMA Show next week. 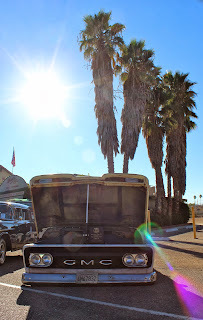 I love big Cadillac vehicles, so I took a number of photos of this one. Even though the Car Classic promotes vehicle design, the show pays homage to the customizing and hot rod roots in So Cal. 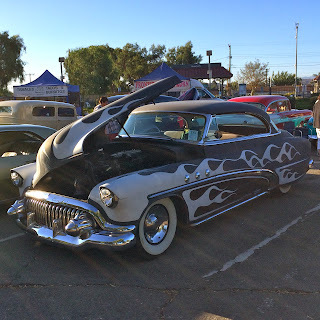 Southern California is all about custom cars, so it is always nice to see a few hot rods and classics at the show. A pair of red Chevys. Our friends at ICON brought out a cool custom pickup. These guys are known for their amazing reproduction Ford Bronco and Toyota FJ trucks, so it was cool to see what they could do with an earlier truck. 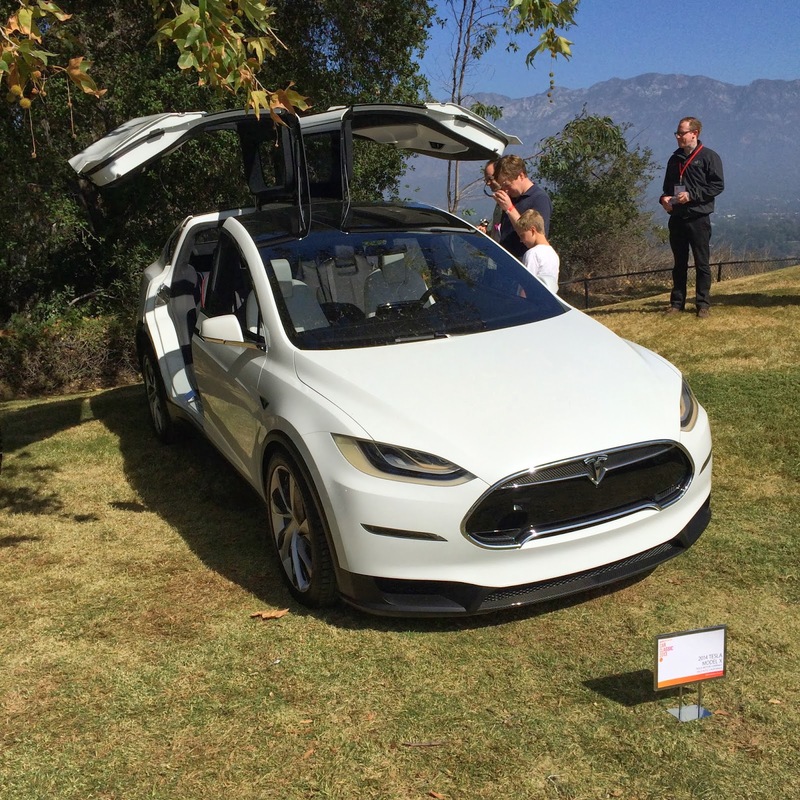 Good friend of California Car Cover, Bruce Meyer, was in attendance. He drove his beautiful 1929 Bentley to the event. I can't imagine driving such a car on one of the canyon roads in Los Angeles. Dave Kunz, ABC's Automotive Reporter, was the emcee for the day. 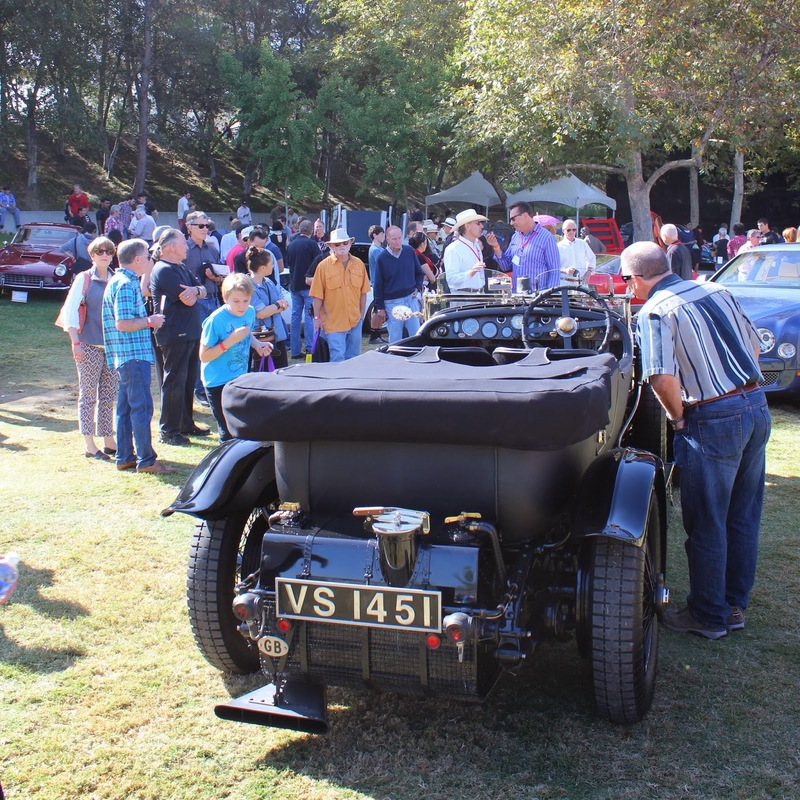 He conducted interviews with many of the vehicle owners, including Jay Leno. Recognize the 1976 Tyyrrell P34? 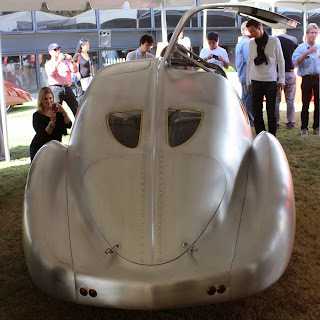 This car is owned by Bruce Canepa, of Canepa Design. Bruce is a long time auto enthusiast, race car driver and colleague. We featured Bruce and the Tyyrrell on our June catalog cover. The vehicle can also be seen in the recent Ron Howard movie, Rush. The event celebrated the history of the Chevy Corvette. In addition to the new Chevy Corvette Stingray, the Car Classic featured a number of noted Chevy Corvette race cars. 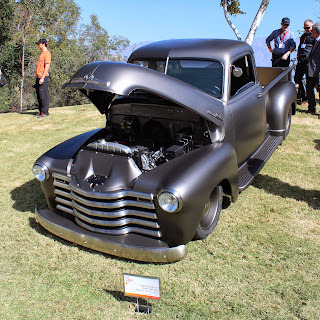 On hand at the show were Tom Peters and Peter Brock. 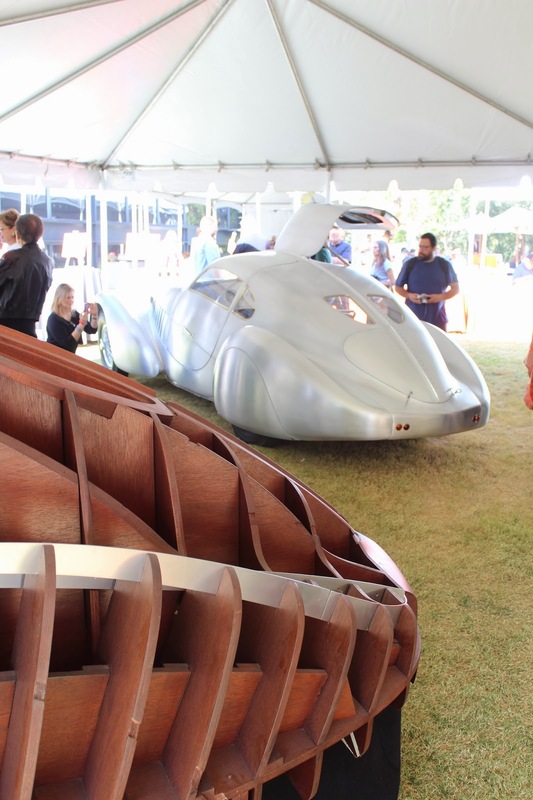 These men were both influential to the design and production of many GM vehicles, especially the Corvette. 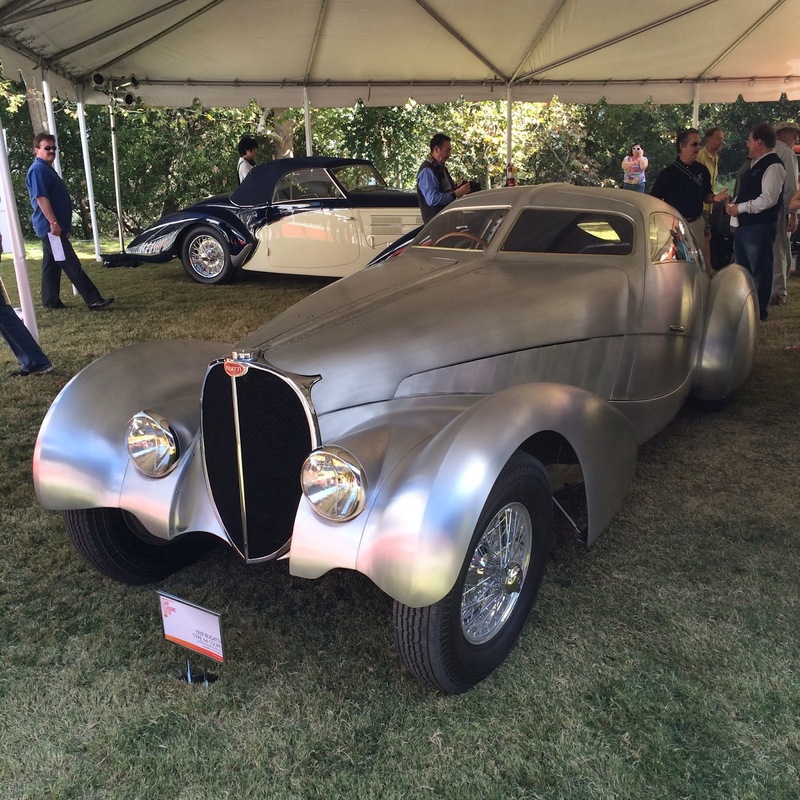 The Bugatti exhibit drew quite a crowd under the tent. It featured a 1939 Type 64 Coupe in bare metal, plus a wooden mold of the same vehicle which was pretty cool. How the times have changed. Check out the Gene Autry edition of this bicycle that came with a toy gun and holster on the frame. 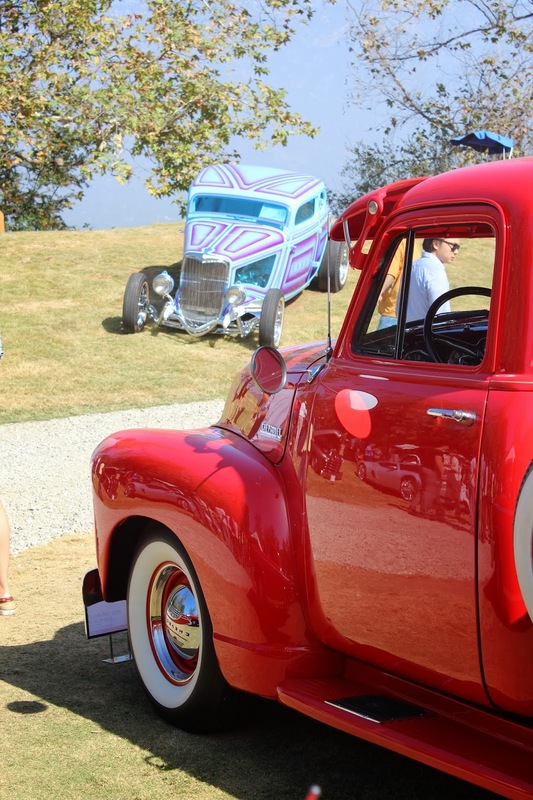 Since the Art Center attracts some of the best designers from all over the world, there were plenty of students on the lawn all afternoon drawing vehicles. I kept my drawings to myself. 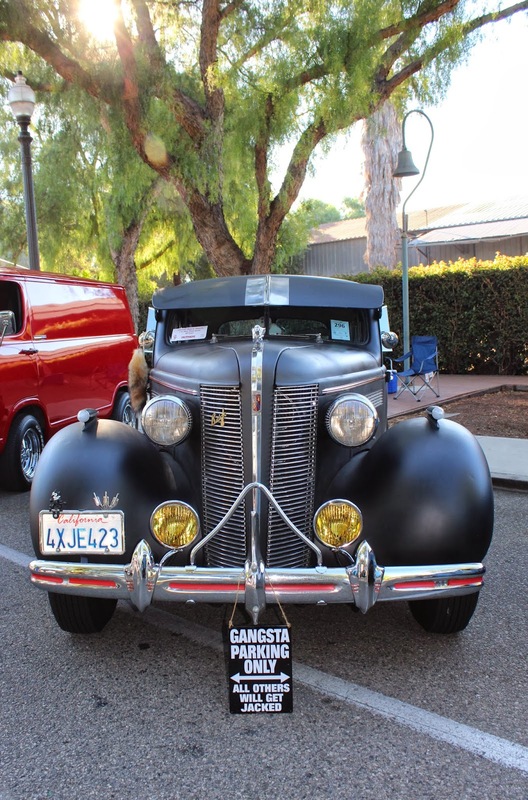 Do you follow California Car Cover on Instagram? You should! 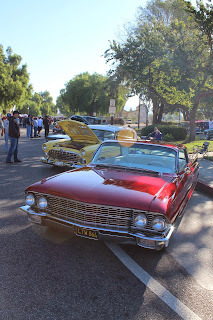 We post cool car show photos from events all over the country. 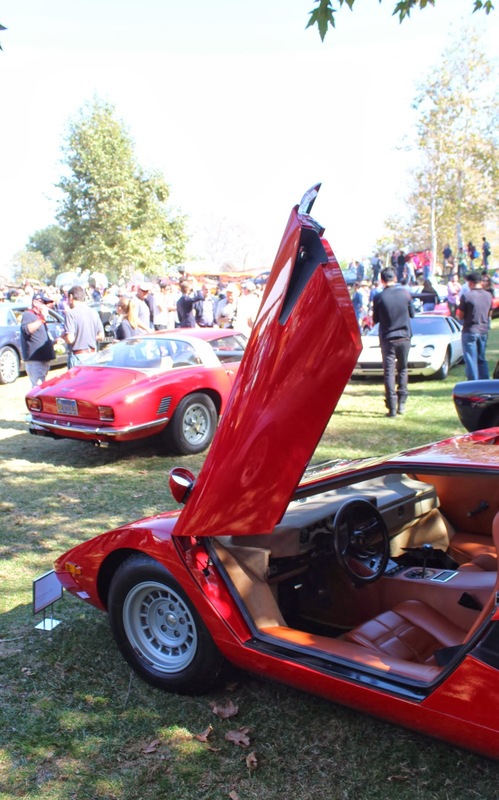 You can't have an automobile design car show without a Lamborghini Miura. 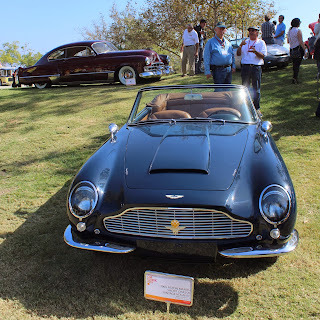 Thank you to everyone on the Car Classic car show committee. This year's event was a lot of fun and the entire staff was helpful. We look forward to being back at next year's event. We will have video posted from the event later this week.